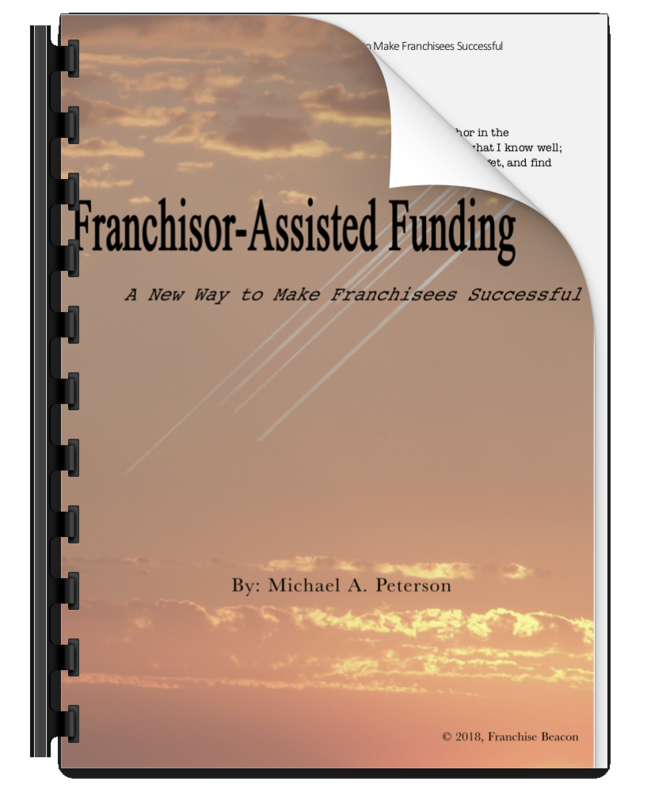 So now you understand the Franchisor-Assisted Funding Program, and you have explored our various franchisee funding options. Chances are, you already have a few franchisees in mind with specific needs, we’d be happy to discuss those with you. There may also be other needs in your systems that you haven’t yet considered. In our experience, there are as many reasons to need funding as they’re are franchisees! Over the years, however, we have noticed some consistencies. Many franchisees find their original growth trajectory stunted by a lack of capital to continue to grow. Additional staff, equipment, inventory, or other resources may be required for continued growth. Naturally, additional resources means additional capital requirements, and additional capital isn’t always available. The Franchisor-Assisted Funding program is ideal to help franchisees secure capital to get beyond a plateau. We enjoy helping businesses grow. We enjoy helping franchisors stay nimble and opportunistic. As much as we enjoy thees interactions, however, what drives us is helping small businesses. That help is sometimes not capital for growth but rather just to stay in the game. If your franchisees are faced with a sudden business expense, The Franchisor-Assisted Funding Program will allow you to do what you do best; counsel and bring a solution. With our tools you can keep your franchisees in the game. Franchise agreements can be contentious. Many of them call for various expenditures throughout their term for refacing, fixture updating, or other improvements. Though it is a franchisee’s responsibility to plan for these, franchisors should always try to position themselves to not just respond to, but anticipate their franchisees’ needs. The inability to fund an improvement required by the franchisor can cause a strain on the relationship, and put both parties in a difficult situation; a franchisor deciding between contract enforcement and keeping a location open, and a franchisee facing the loss of the business. We encourage you to be anticipate these needs, and let us help you design a program now to address them. Pardon the gallows humor, but it has been our experience that these cash requirements often seem to come all at once. Some of that is perception; a franchisee facing a rent and revenue increase won’t notice it the way a franchisee that has plateaued, is facing a rent increase and a need to update their buildout will. Some of it is also reality; a franchising distracted by an empty bank account is more likely to miss a deadline, have to pay rush shipping, or have late tax fee. The Franchisor-Assisted Funding Program will often allow you to prevent this by funding the first problem, but if not it will allow you to bring a solution to the table when your franchisee needs it most. Franchisors Sometimes Need Help, Too! If you read this and think “but wait, what about me?”, you are not alone! Franchisors, just like franchisees, may find themselves in a position where they can significantly benefit from a quick shot of capital. Franchisors also face unique needs and may find themselves looking for more long-term funding vehicles that grow with them. Whether you find yourself in position where a capital infusion could launch you past the competition or are just tired of dealing with the uncertainties that many young franchisors face, we have you covered, too!